In his next diary entry, Thomas makes reference to a brief but important military campaign that would push Europe closer to full scale war. On 7th April 1939, Italy invaded Albania in a short but strategic military campaign. 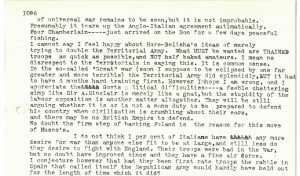 Thomas writes ‘Italy began to attack Albania to-day. It is a bit 2 days ago that she assured our Govt that she had no designs on that country’. For Mussolini, the prospect of invading Albania would be show of power to Germany. Hitler and his German forces had occupied Czechoslovakia without notifying the Italian dictator. A show of power here would reinforce Italy’s role in the Pact of Steel. Thomas references this on 8th April when he writes ‘Musso was of course getting restive because Hitler was getting everything whilst he got nothing, so decided to attack this wretched little state, like the bully he is. 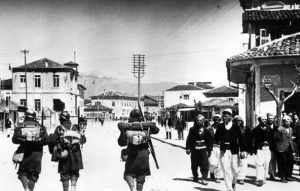 The invasion of Albania was swift and brief. The country was quickly overrun during the Battle of Durress and Albania became part of the Italian empire. 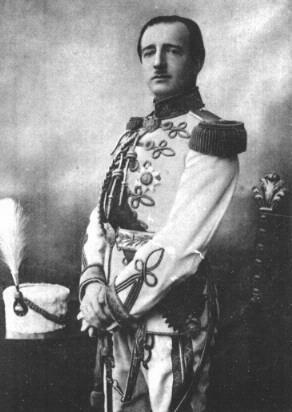 Albania’s King Zog I was forced into exile. 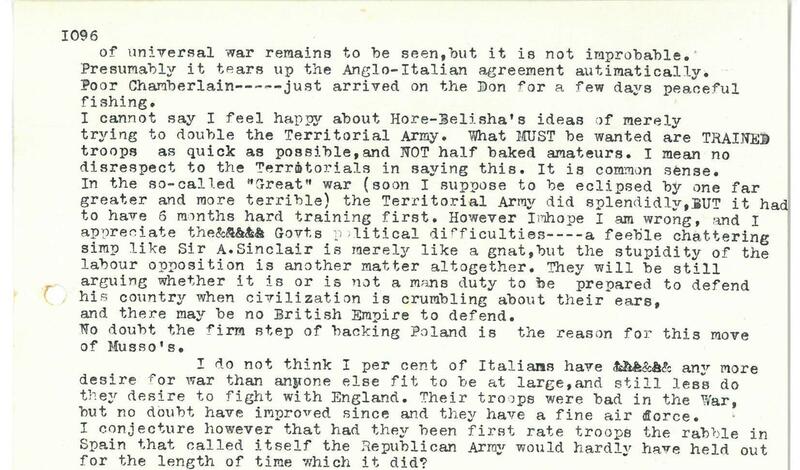 The invasion of Albania makes Thomas’s thoughts on the British troops clear. He is worried about the lack of training and preparation the troops may have had. He writes ‘What MUST be wanted are TRAINED troops as quick as possible, and NOT half baked amateurs’.